One of the best bonuses of traveling and working is meeting and learning about local businesses in different cities. Here are some tips and reminders on where to meet fellow start-ups and small businesses while you’re traveling. Georgette from Croissant shares her experience in this guest post. One of the simplest ways to really immerse yourself into the local business scene is to to join a coworking space while you’re traveling. Most spaces have a day pass or a discount day for non-members to come in or you can sign up for apps like Croissant, which give you access to coworking spaces near you without committing to a space’s membership plans. 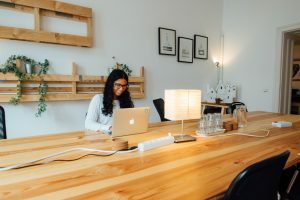 Along with the fun amenities like free coffee, wifi, and reliable plugs everywhere, coworking spaces are home to a thriving start-up or small business community. You’re bound to meet someone new during lunch or striking up a conversation at the communal table. From my experience at coworking spaces, people are friendly. I usually strike up conversations in the morning when I run into people in the kitchen to get coffee. I always love hearing about other businesses and what inspired them to start that particular venture. I also love the Croissant app especially, because I usually have a few options for coworking spaces, so I can meet other communities in different spaces. Attending events from networking nights, happy hours, panels, or workshops are always fun ways to meet more businesses or even digital nomads while you travel. Along with learning something new or getting free food or drinks, you’ll also be learning something new at that discussion or panel. Plus, you never know what meeting one person may lead. They might know someone who knows someone. I always look at Facebook or Eventbrite for events in my area or Meetup for regular meetings of freelancers or industry work seshes. But I like to checkout the calendars for coworking spaces too— most coworking spaces will have day time or evening events to attend. The space itself is already a hub for start-ups and small companies, so you know you’ll meet amazing people. You can also join online communities specific to the area— I usually like looking through Facebook or digital nomad resources to find forums— and see if they have any upcoming events or meetups too. Personally, I also always scope out other events from book, food, or any of my other interests to explore a city more. If there’s a start-up you really admire based out of that city, I say reach out and offer to buy them a cup of coffee. It never hurts and I think people are always surprised but always game for a quick chat. And who wouldn’t love a coffee? I also like reaching out to my networks or putting a message on a digital nomad group to see if they might know of anyone or anything going on that I should go or meet up. 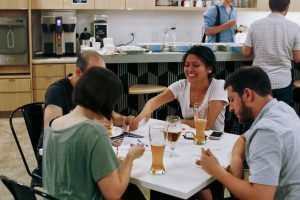 Meeting others always leads to other openings and even more tips of other events or event cowork groups going on in whichever city you find yourself. 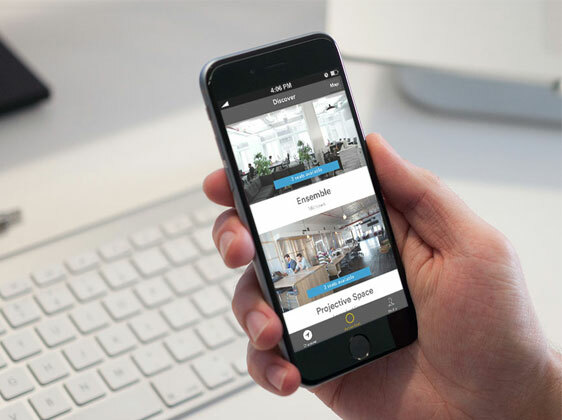 Start coworking anywhere with the app Croissant. 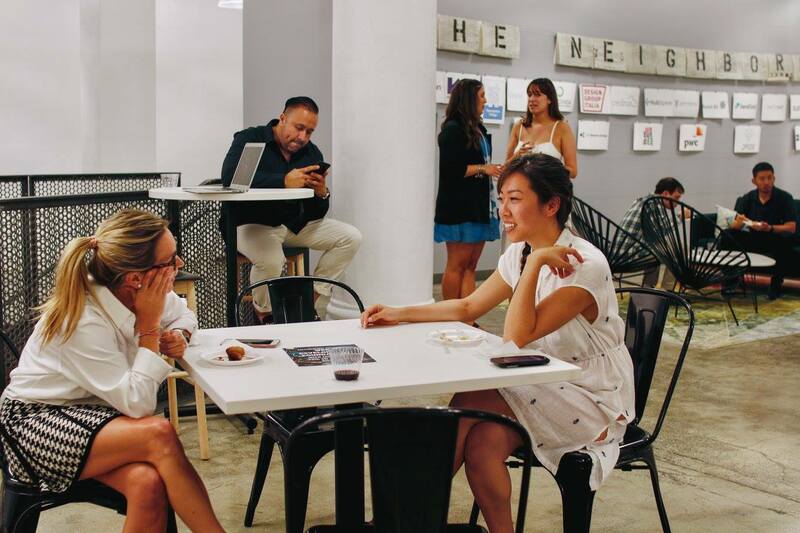 From NYC to London, find a coworking space near you. Sign up with code DIGITALNOMADEUROPE or click on this link to get $20 off your first month. Georgette Eva is Community Manager at Croissant, the app that helps you find a coworking space anywhere while you travel.